The Nirvan Bhumi (salvation land) of 20 Jain Tirthankars, Sammed Shikharji (“Shikharji”) is one of the most important pilgrimages of Jains since the ancient era. This paramount pilgrimage was known by various names like Sammeyal Giri, Samet Shail, Sametachal, Samet Giri, Samet Shikhar, Samadhi Giri etc. 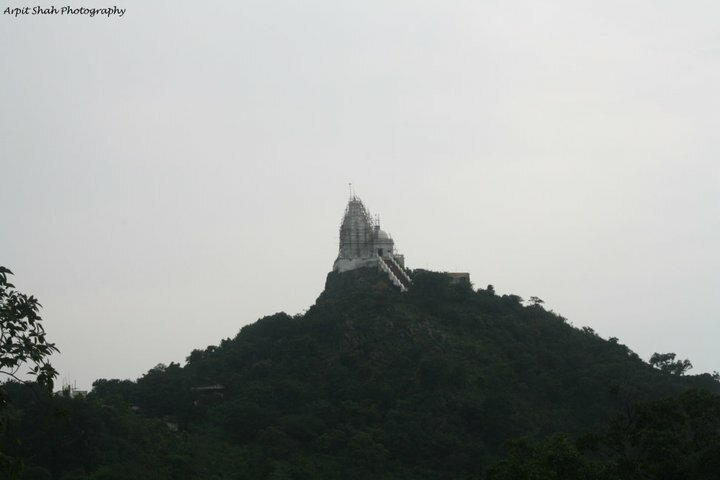 At present, it is known as Sammed Shikharji or Parshwanath Hill. 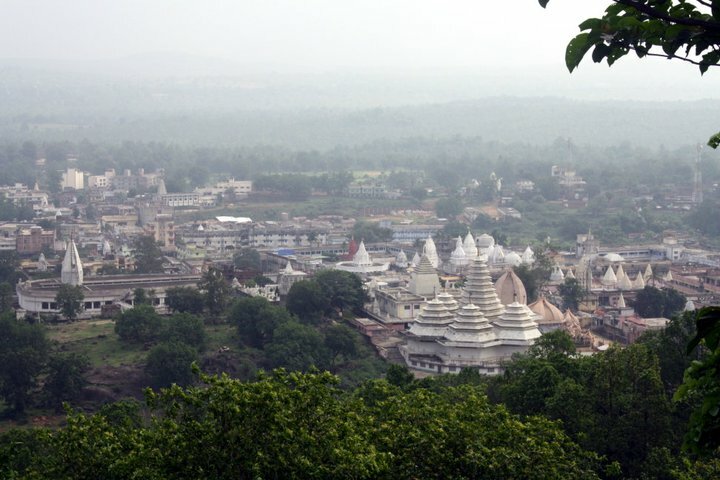 The holy hill is one of the highest peaks of India and is situated in the Giridih district of Jharkhand, India. 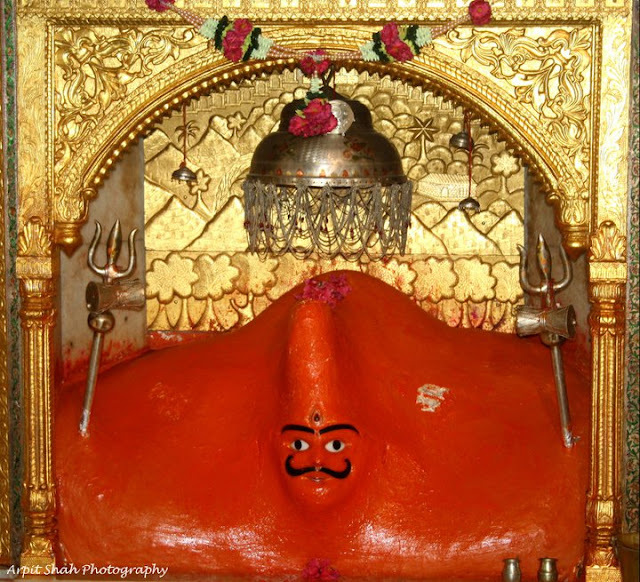 However, years of disregard, various internal disputes and forceful acquisition by the State Government has marred the tirth into a lot of controversies. 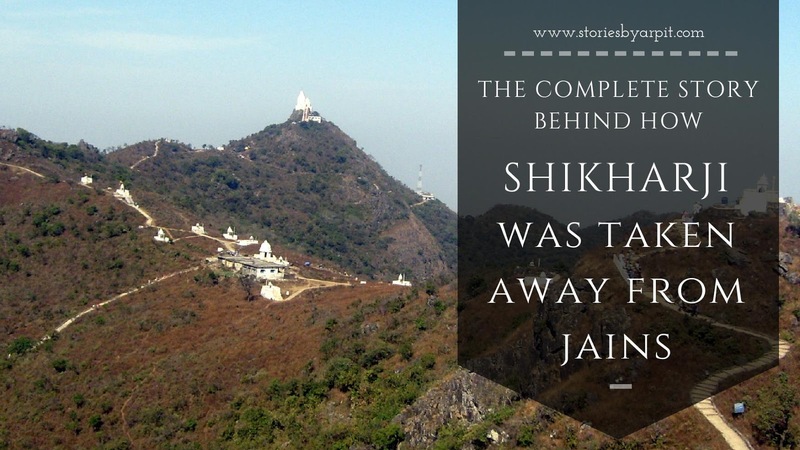 As the #SaveShikharji movement gains momentum, lakhs of petitions have been signed by all Jains to prevent the Jharkhand Government to turn the pious Shikharji hill into a tourism destination. 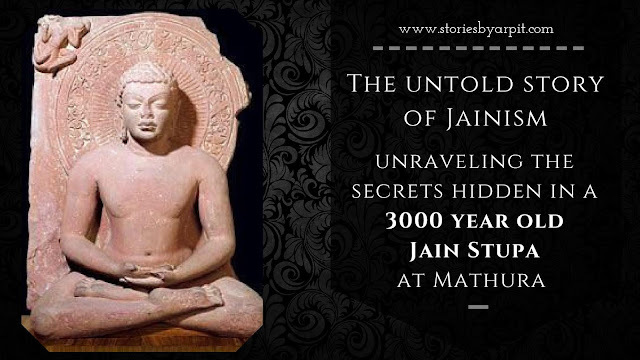 However, the question arises how many Jains actually know about the turn of events which led to this condition? Even the Save Shikharji website has very few details on the history of the tirth which made me pen this blog post. Again, I agree that this is a long post, but as Jains we should at least know what events unfolded that, today we have to beg the Government to declare this pious land as a “place of worship”. 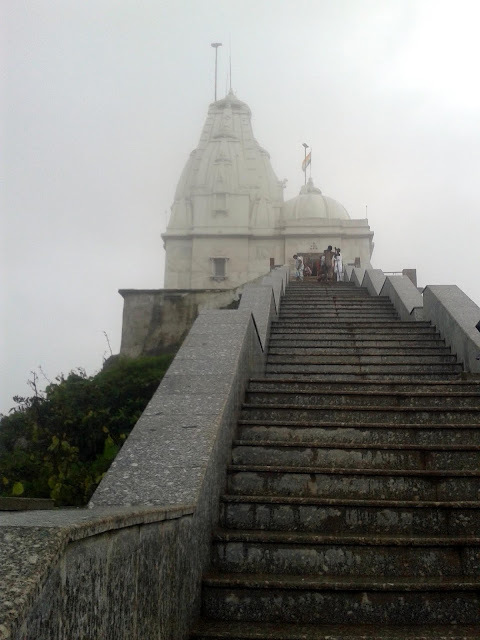 Following is a Chronological history of the Shikharji hill along with the disputes that came along with it in the past 3000 years. 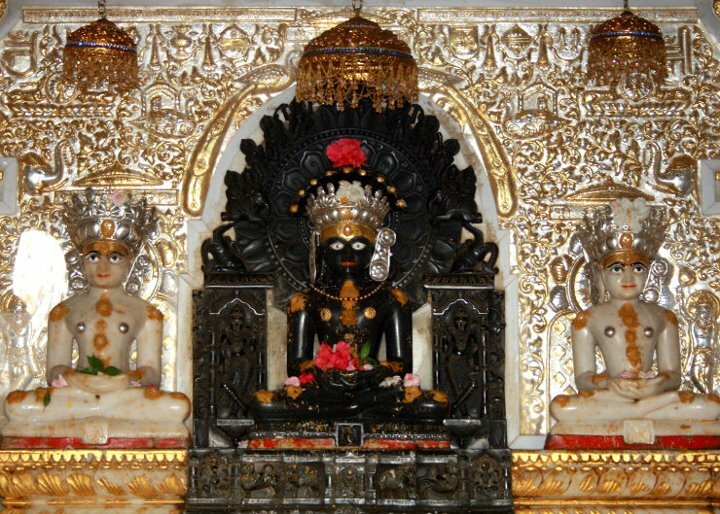 2nd Century AD – The earliest reference to Shikharji as place of pilgrimage is found in the 6th Jain Aagam, Gnata-dharma-katha one of the core texts of Jainism. 2nd Century AD - Acharya Padalipta Surishwarji Maharaja (who founded the city of Palitana) made a pilgrimage to this place. It was noted that 20 Chaturmukh Jinalay's were present on the hill dedicated to the 20 Tirthankars who attained Moksha at their respective places. 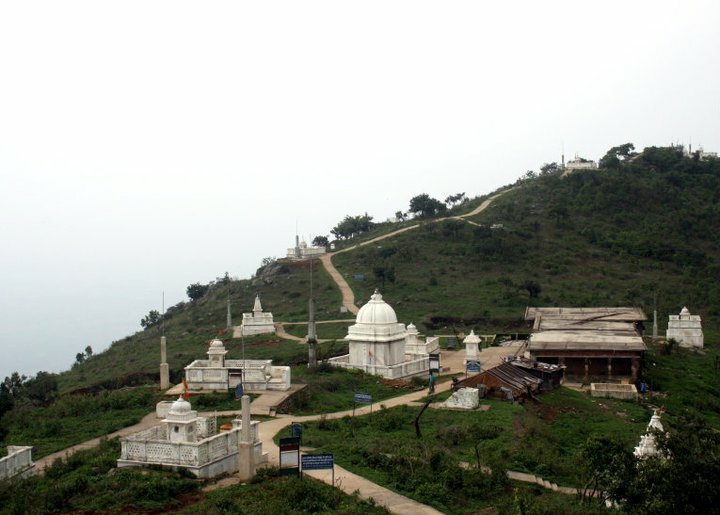 9th Century AD – Acharya Pradyumna Surishwarji Maharaja visited the Shikharji Hill; identified the Nirvan Bhumis of 20 Tirthankar’s and installed Nirvan Stupas at each location. 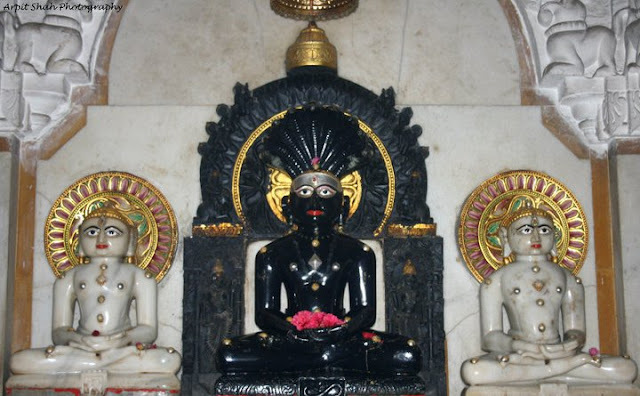 13th Century AD – As per an inscription dated 1288 AD, installation of the main idol and renovation of the main temple on the Shikharji hill was undertaken under the guidance of Acharya Parmanand Suri. 1592 AD – On the request of Jagadguru Acharya Hirvijay Surishwarji Maharaja, an illustrious Shwetambar Jain monk, Mughal Emperor Akbar, issued a Firman (a royal mandate/ decree) declaring the land of Shatrunjay (Palitana), Girnar, Taranga, Kesariyaji, Abu, Rajgir and Sammed Shikharji to be handed over to Jains so that no one may kill any animal on these sacred places. 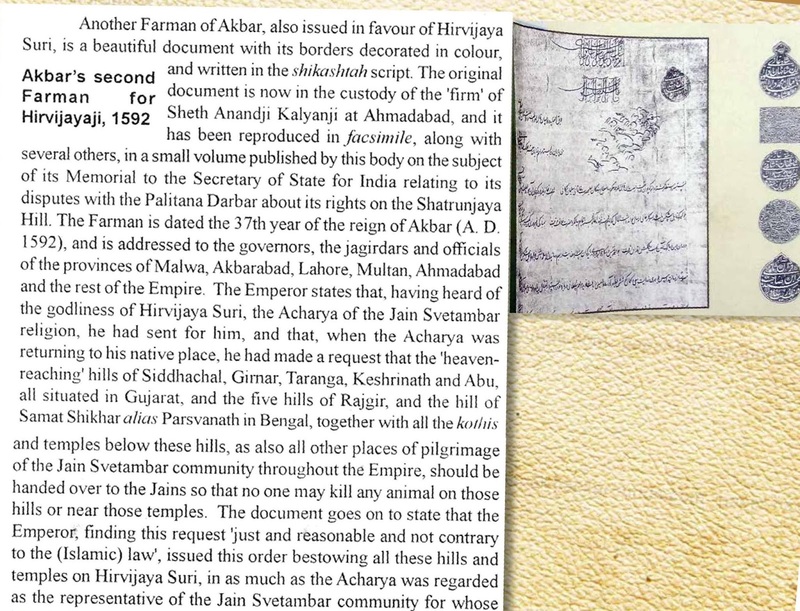 The firman goes on to state that the Emperor, finding this request, “just and reasonable” and not contrary to (Islamic) law, issued this order bestowing all these hills and temples on Acharya Hirvijaya Suri as the representative of the entire Shwetambar Jain Community. 1613 AD – Sheth Kunwarpal Sonpal Lodha of Agra undertook a Sangh (Pilgrimage) to Shikharji under the guidance of Acharya Dharmamurti Suri of the Anchalgaccha. The Sangh consisted of 75 Shwetambar Monks and nuns; 46 Digambar Monks and hundreds of pilgrims. On reaching Shikharji, Sheth Kunwarpal venerates the Nirvan Stupas with Sandalwood paste and garlands. 17th Century AD – Borders of the Palganj empire reach till the base of the Shikharji hill. 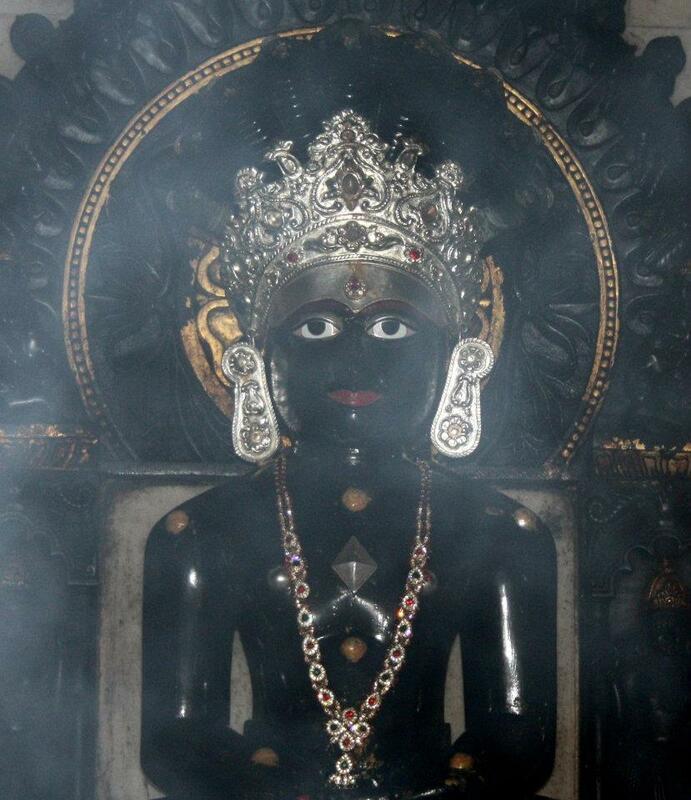 The Raja (Emperor) of the Palganj empire is benevolent to Jains and offers protection to all pilgrims. The pilgrims also offer various gifts to the Raja in return. 1765-1780 – As the Nirvan Stupas got eroded and destroyed with the passage of time, it became difficult to identify the places of nirvan of different Tirthankars. 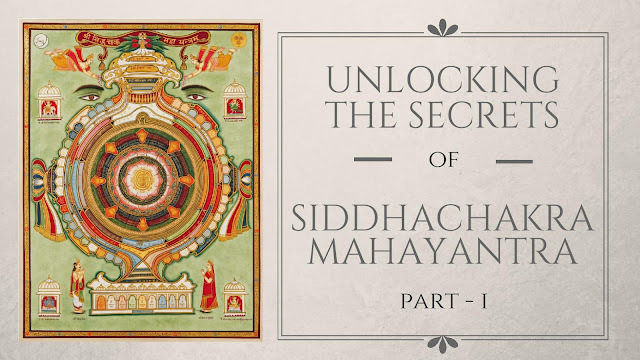 Therefore, on the instructions of a Shwetambar Jain monk, Ganivarya Deva Vijay, the then Jagat Seth, Khushalchand practiced the penance of a three-day fast (attham) to please the demi goddess Padmavati. On the third night, he saw a dream wherein he saw Swastiks drawn on the hill with particular numbers. The places of Nirvan of Tirthankars were thus fixed according to the numbers placed near the Swastiks. 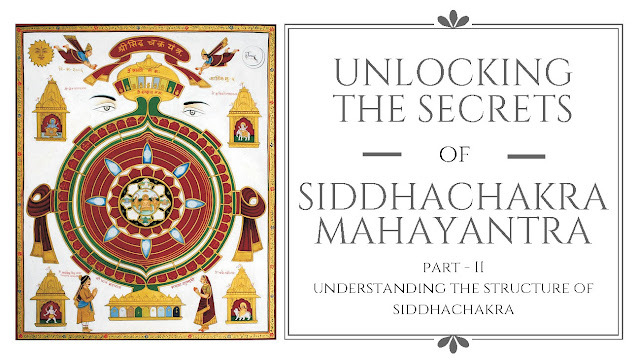 Sheth Khushaldas built small shrines with the footprints of each Tirthankar on the Nirvan Bhumis under the guidance of Acharya Sakal Suri. He constructed the Jal Mandir and the temple of Shamalia Parshwanath and Bhomiyaji Maharaj on the foot of the hill. 1790 – The British Empire in India assigns the “Record of Right” i.e. assigns the zamindari of Shikharji hill to the Raja of Palganj which raised a legal presumption that it was his property. Thereafter, the Raja bore the expenses of the Shrines and recouped himself by taking a share of pilgrims offerings. 1846 – An Englishman, Lieutenant Beadle surveyed the Shikharji hill recorded that the Santhals (local tribals which had a population of ~16000) also revered the hill as a deity named Mavang Guru/ Marang Baru. The Santhals had a tradition to hold a local mela (gathering) every year for a fortnight where it was a custom to take part in hunting animals atop the hill. However, no objection to this was raised by the Jains since years. 1861 – A military sanatorium was opened near the top of the hill by the British on a site acquired from the Raja. However, it was discontinued in 1865. A Dak Bungalow was built on the site. 1867-1872 – The Shwetambars and the Raja of Palganj file various cases against each other for ownership of the hill. However, these were settled by an Ekrarnama, by which the Raja agreed to grant some land, stones and timber for construction of new shrines. However, this stipulation involved clear admission of the Raja’s title to the hill by the Shwetambars. 1876 – The Raja of Palganj granted a permanent lease of 2,000 acres on the Shikharji hill to an English planter named Boddam who opened a Tea plantation here. 1888 – A lard factory was set up by the tea plantation on the Shikharji hill where pigs were slaughtered. The Shwetambars file a case against the Raja of Palganj alleging that the action was a breach of the Raja’s covenants in the Ekrarnama. The Shwetambars produce the Firman by Akbar which clearly stated that the ownership of the land was given to Shwetambar Jains so that no animal would be slaughtered on the Shikharji hill. The court held that although the property belonged to the Raja, the acts were a breach of an implied restrictive covenant in the Ekrarnama. Therefore, the slaughterhouse was stopped. 1901 – The Shwetambars initiated the construction of a marble temple on the highest part of the hill where Lord Parshwanath attained Nirvan which was opposed by the Digambars as they believed that laborers and pujaris would stay atop the hill and destroy its sanctity. The Digambars withdrew the case in 1903 as the temple was constructed and it would cause more harm to pull it down. 1910 – Due to a financial crisis, the Raja of Palganj decided to indefinitely lease the Shikharji hill. Sheth Anandji Kalyanji Pedhi (a religious trust representing the Shwetambar Jain community) with the help of Rai Bahadoor Badridas Mookim, a noted jeweler, philanthropist and a Jain social leader from Calcutta offered to purchase the rights of the Shikharji hill. 9th March 1918 – Anandji Kalyanji Pedhi purchased the rights of the hill from the Raja of Palganj by executing a sale deed after paying a sum of Rs. 2 lakh 42 thousand along with a sum of Rs. 4,000 to be paid every year. There was a rival contender to the right and title, in the Raja of Nawangarh and the Anandji Kalyanji Pedhi also obtained a perpetual lease of a part of the Hill from the said Raja. 1920 – The Shwetambars started posting sentries and night watchmen on the top of the hill and started to erect dwellings on the hill for pilgrims, pujaris and other temple servants in daily employment which was opposed by the Digambars. 1925 – A case of ownership was filed in Privy council (Highest court of law in the British Era) by the Digambars and Santhals against the purchase of the Shikharji hill by the Anandji Kalyanji Pedhi and with respect to ownership, rights of worship and management of the tonks, temples and charans. 12th May 1933- The Privy Council held that the title to the Hill vested with the Raja of Palganj, though the Jains in general had a right of worship in the tonks, temples and charans located on top of the Hill. The Privy Council upheld the right of Shwetambars to be in management of the tonks, temples and charans on the top of the Hill with an unrestricted right for the Digambars to worship in twenty of the tonks, charans and the temple of Gautam Swami, without any restriction and without permission from the Shwetambars. The Digambars could worship the other four tonks, temples and charans only with the permission of the Swetambars and the Digambars had no right to put up any construction of their own on the Hill without permission in that behalf from the Shwetambars. 25th September 1950- The Bihar Land Reforms Act, 1950 came into force. Section 3(1) of the Act gave the power to the State Government to vest any estate under the provisions of the Act. 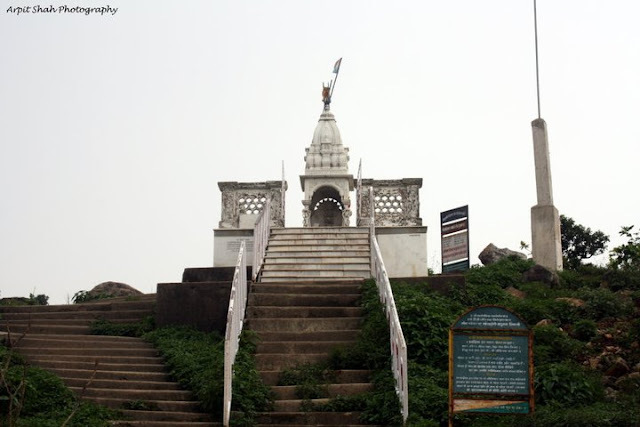 2nd May 1953 – The State of Bihar issued under Section 3(1) of the Bihar Land Reforms Act a notification declaring Shikharji hill to be vested to the State Government from Anandji Kalyanji Pedhi. 1960 – The Jal Mandir is renovated and the ancient idol of Lord Sammed Shikhar Parshwanath was re-installed under the guidance of Acharya Manikya Surishwarji Maharaja. Sheth Andarji Motichand Mehta from Calcutta got the opportunity of re-installing the ancient idol of the lord by bidding a sum of Rs. 1,16,000/-. 1st April 1964 – Anandji Kalyanji Pedhi, requests the Chief Minister of Bihar, Mr. K.B. Sahay not to vest the pious hill under the Bihar Land Reforms Act. However, the request was rejected by the Chief Minister. 2nd April 1964 - The State of Bihar took complete possession of the Shikharji hill and the mutation was changed by transferring the name of the proprietor of the estate of Shikharji (Parasnath Hills) to the State of Bihar (from Anandji Kalyanji Pedhi). 5th February 1965 - An agreement was entered into on behalf of the Government of Bihar and Anandji Kalyanji Pedhi under which the State of Bihar declared that the temples, dharmshalas, etc. on the Shikharji Hills would not covered by the vesting notification dated 02.05.1953 and that Anandji Kalyanji Pedhi shall retain full control of the temples, and shrines, hills and religious sites and perform the pujas and worship as before, without any let or hindrance. The parties agreed that the management of the forests should be carried on by the Forest Department of the State of Bihar in accordance with the relevant laws and the State agreed not to interfere in the performance of religious rites and ceremonies by the Shwetambar sect. It was agreed that the net profits of the forests were to be shared annually between the State and Anandji Kalyanji Pedhi in the ratio of 40:60. By virtue of that agreement, the Government practically agreed to return the land which had vested in it under the Bihar Land Reforms Act and which it had taken possession of from the original owner, Anandji Kalyanji Pedhi. 5th August 1966 - The Digambars in their turn, entered into an agreement with the State of Bihar, wherein, the State assured the Digambars that their right, including the right of worship and other recognised rights would not in any manner be affected by the agreement, entered into by the Government with Anandji Kalyanji Pedhi on 05.02.1965. On finding that the Digambars had constructed structures and shrines on the Shikharji Hill, the Anandji Kalyanji Pedhi filed a case against the Digambars restraining them against putting up any building or structure anywhere in or upon the Shikharji (Parasnath) Hill. The Digambars filed a counter case against the Anandji Kalyanji Pedhi for a declaration that the agreement between the State of Bihar and the Anandji Kalyanji Pedhi executed on 5.2.1965 was null and void; that it was not binding on the Digambar Community. 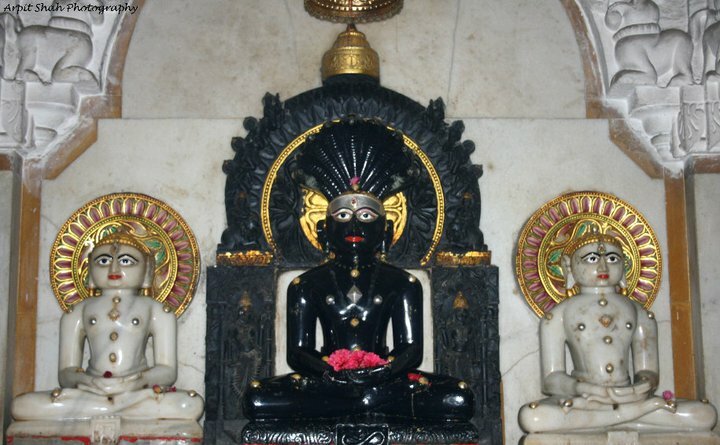 It was contended by the Digambars that the said agreement was void being against the scheme of the Bihar Land Reforms Act; was opposed to public policy and was discriminatory in that it chose to give favourable treatment to a small group of Jains known as Murtipujaks, as against the entire Jain Community which had the right to worship in places of worship located on the Hills. 1990 – The State of Bihar filed an appeal challenging the agreement it had entered with the Anandji Kalyanji pedhi on 5.2.1965. The Government of Bihar stated that the agreement entered into by the State of Bihar and Anandji Kalyanji Pedhi, was void in law as that it was vitiated by mistake and misrepresentation. The entire Hill had vested in the Government under the Bihar Land Reforms Act. The court held that the Government had not taken actual possession of the land even though documents were created (mutation) indicating that possession had been taken. The Digambars were prevented from questioning its validity in the light of the subsequent agreement they themselves had entered into with the Government and that Anandji Kalyanji Pedhi had the authority to restrain the Digambars from trespassing into any portion of the Hill. The court also ordered the Digambars to remove the constructions put up by them. The Court recognized that Digambars had the right to worship in the tonks, temples and charans and held that, that right would not be affected by this order. Though the Digambaris did not have the right to put up any construction and the unauthorized construction attempted was liable to be removed, Anandji Kalyanji Pedhi must permit the Digambars to construct a Dharamshala in some portion of the property by giving the Digambars, permission to do so as and when it was sought for. Aggrieved against the ruling, all the three parties filed an appeal at the Ranchi bench of the Patna High Court. 1997- The Single learned Judge of the Ranchi bench of the Patna High court heard all appeals and declared that the agreement entered into by Anandji Kalyanji Pedhi with the State of Bihar, was invalid in view of the Bihar Land Reforms Act and that Anandji Kalyanji Pedhi could claim no rights on the Shikharji Hill based on the agreement. The court held that agreement entered the State of Bihar with Anandji Kalyanji Pedhi not only went against the Bihar Land Reforms Act, but was also opposed to public policy and violated the doctrine of public trust. Thus it was held that the agreement was illegal and void in law being opposed to public policy. Challenging the decision, Anandji Kalyanji Pedhi filed Letters of Patent Appeals. 21st July 2000 – The 2-member division bench of the Ranchi bench of the Patna High Court heard the matter. One of the Judges, Justice Chaudhury agreed with the earlier High Court order in holding that the Shikharji hill was vested under the State Government under the Bihar Land Reforms Act thus Anandji Kalyanji Pedhi had lost all its rights and possession over the Shikharji Hill. 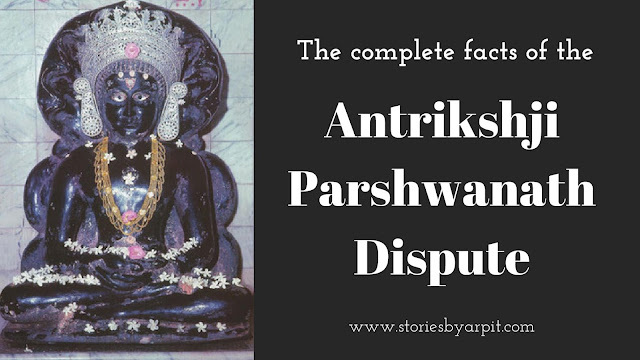 The Judge further held that Anandji Kalyanji Pedhi had never administered or managed the tonks, charans and dharamshalas on the Hill; that they were being looked after on behalf of Shwetambars by the Jain Shwetambar Society. Thus, the presiding judge, Justice Chaudhury pronounced a judgment affirming the decision of the learned single Judge and dismissing all the appeals but the second judge Mr. Justice A.K. Sinha did not sign that judgment; nor did he pronounce a judgment of his own. In view of the refusal of the other Judge of the Division Bench to sign the judgment, the Chief Justice transferred the appeals to a full bench in the High Court at Patna. 7th July 2004 – Final hearing on the Merits of the case was initiated in the Ranchi High Court. The agreement entered by the State of Bihar with Anandji Kalyanji Pedhi in 1965 was null and void. The counter agreement entered by the Digambars with the State of Bihar in 1966 was also null and void. 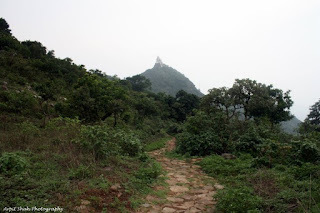 Thus the entire Shikharji hill was vested with the (Jharkhand) State Government. 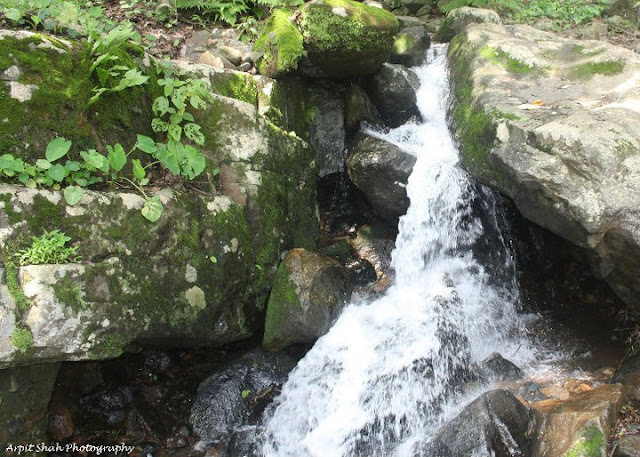 However, the area measuring 46.28 acres of land which houses all the Nirvan Tunks and the Jal Mandir would not be classified under the Forest Act. The Digambaris could put up a dharamshala not inconsistent with the mode of their worship, only with the permission of the Government. 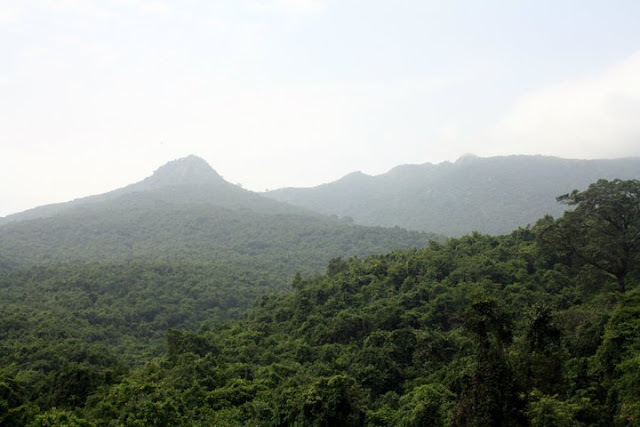 However, no construction could be put up in the Parasnath Hill forest, without the prior consent of the Central Government as envisaged by the Forest Conservation Act. The State of Jharkhand was asked to constitute a body/committee for the proper management of the places of worship (to the extent of 46.28 acres). The Murtipujaks, Digambars and other Shwetambars (Terapanthis & Sthanakvasis) were allowed to nominate one representative each to the committee while the state government would nominate the fourth member from the Jain community. The court advised that the Collector of the District could be nominated as the Chairman of the committee by the State Government, so that he can keep a watch over the activities of the administrator and the committee assisting him. The State of Jharkhand should ensure that all pilgrims on the Shikharji Hill have the freedom to worship without departing from the traditions of their mode of worship. This order has been challenged by both the Shwetambars and the Digambars in the Supreme Court which continues till date. 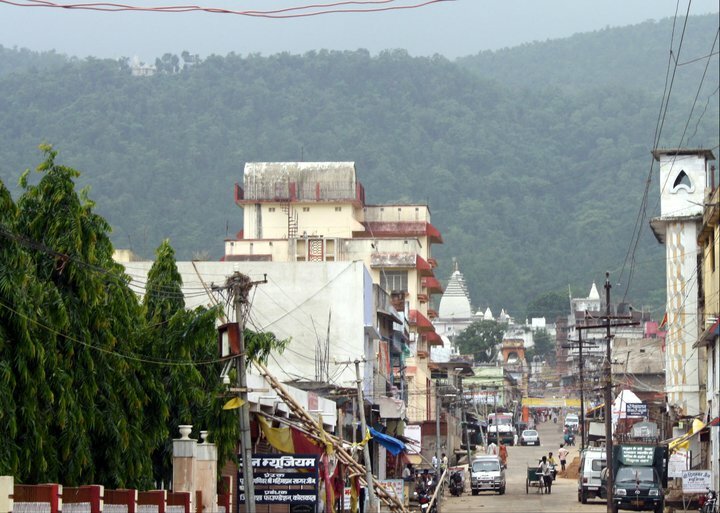 14th April 2015 – The State Government of Jharkhand under CM Raghubar Das issued a “Parasnath Hill Development Plan” to develop tourism in the Shikharji hills. The plan included construction of a helipad (alike Vaishno Devi), Theme Park, Tourism Reception Centre, Car Parking centre & Bus Stand in the Madhuban town (which is situated in the base) etc. The Government also planned to construct a Marang Buru Temple for the local tribals. 10th August 2018 – Jharkhand CM Raghubar Das banned the use of motorcycle/ vehicles on the Shikharji hill. For conserving tribal culture, the CM stated that the development of Marang Buru temple would be made within a fixed timeline. The CM had asked all cases related to Forest Department to be cleared by 15th September 2018 and asked the Forest Dept. to issue clearance for all tourism projects by 10th October 2018. 22nd October 2018 – Delegations of Jains including those of Save Shikharji campaign met the Hon’ble Chief minister of Jharkhand, Shri Ragubar Das, as arranged by Sunil Singhi, member of National Minority Commission of India. After due deliberation and representation, the state government took the first step by issuing an office memorandum accepting the Hill as a holy place and has shown commitment to maintain the sanctity of the Hill. Thank you for the detailed events. Excellent detailing of the past history with references. Thanks so much for educating me on the turn of events, Arpit. 1. A fragmented Jain community has been a bane for us and hence 'coming together' of the community (incl. monks) is definitely need of the hour and future. 2. An 'inclusive' approach under a sustainable model for the development of the tirth taking also the locals and their future into account is imperative in the current context. Absolutely agree. If all the monks of all the sects join hands, then all problems can be resolved amicably. A sustainable model is under focus by many activists there. thank you for giving full summary of sammed shikharji. let me know your instagram id.